The Coppa Italia quarter-finals will be finished off with two teams, who are looking to get back to winning ways following a league defeat at the weekend. 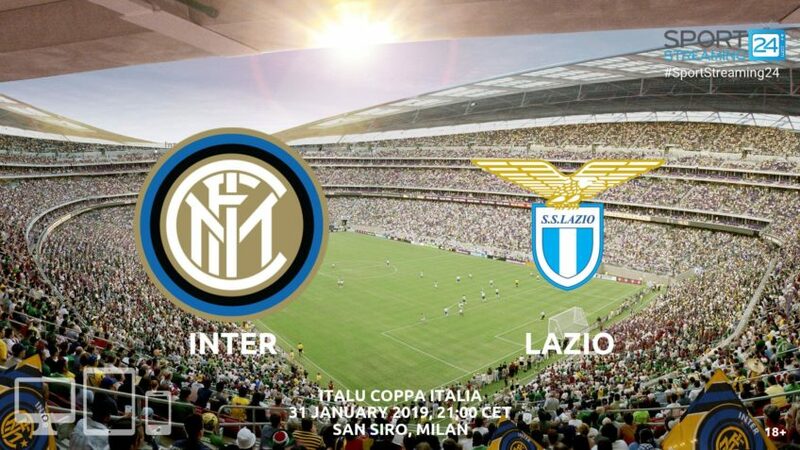 Inter will be hosting Lazio at the San Siro. Inter had a five-game unbeaten run cut in the league on Sunday when they lost away to Torino 1-0. It’s their second consecutive Serie A match in which they have failed to score. Mauro Icardi hasn’t scored since December 15, and the whole team is having a tough time in front of goal because of that. Across all competitions, Inter has scored more than once in just two of their last 10 matches. They will be without Keita Balde and Sime Vrsaljko on Thursday. Lazio was close to shocking Juventus at the weekend, taking a 1-0 lead in the second half, but they ended up suffering a second consecutive loss through a late Cristiano Ronaldo penalty. Simone Inzaghi’s team has recorded just one clean sheet in the last 17 games. They are also suffering from poor away form, winning just one and losing three of the last six road outings. Defenders Luiz Felipe and Patric remain out, while Adam Marusic is unlikely to play as well. Inter have already beaten Lazio once this season, winning at the Stadio Olimpico back in October 3-0. They are unbeaten in the head to head meetings for four games. The last meeting between the two at the San Siro ended with a goalless draw, but there have actually been over 2.5 goals in five of the last six matches. However, Inter’s scoring woes have resulted in eight of their last nine games ending with under 2.5 goals. Luciano Spalletti will want his side to keep up their good defensive play and Thursday will likely mark the return of left-back Kwadwo Asamoah, who missed the defeat at Torino. With Marusic out, the experienced Marco Parolo filled the right-hand side for Lazio against Juventus. He’s the team’s second-leading scorer this season behind Ciro Immobile.